Three G Body & Paint, LLC. Even a minor accident can be very traumatic and stressful especially if it has caused damage to your car. However, you can turn this event into a positive experience by visiting a trusted collision repair center and getting the best auto body repair and paint service. Come to Three G Body & Paint, LLC. and feel confident in trusting your car to our experienced and trained technicians. We are a registered, licensed, and fully insured auto body repair facility servicing South Denver and the surrounding Denver Metro area. Accidents can happen to even the safest drivers, which is why we are offering you some tips about what you can do if you are involved in a crash. Be Prepared: Make sure all of your vehicle registration and insurance information is in your vehicle in an easily accessible place and that you always carry your driver’s license. Keep your cell phone charged in case of an emergency. Vehicle safety and first aid kits are also a good idea in case you get stranded or are injured. Secure Your Vehicle: Stop your car and do not leave the scene of an accident. If your vehicle is blocking the roadway, move it to a safer spot if possible. Call for Assistance: If anyone was injured, call 911 immediately. Contact the police to report the accident as well as your insurance company. If you cannot drive your vehicle from the scene, call your roadside assistance service provider or a towing company. File a Report and Make a Claim: Typically the police will ask the involved drivers for their information and an account of the accident. Accident reports are usually available within a few days. If you intend to make an insurance claim, submit the police report to your insurance company to support your claim. Should an accident occur on private property or when weather conditions call for accident alert and the police are not involved, be sure to exchange information with the other driver. Obtain the other driver's name, telephone number, driver's license number, make and model of their car, license plate number, name of their insurance company with policy number, and if possible, take photos of the scene and damage on both cars. 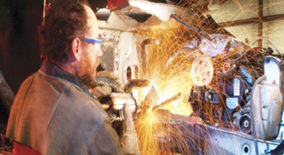 Your vehicle's value and safety can only be ensured by having it repaired by properly certified professionals. Always have your vehicle repaired immediately after an accident. Never drive a vehicle that could be unsafe due to damages sustained in a collision. It's your car, and your choice. You have the right to take your vehicle to the repair facility you choose. Your insurance company cannot require you to go to a particular repair shop. 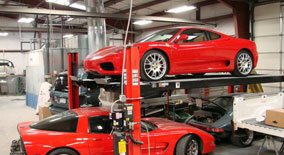 Some insurance companies may request that you visit their claims center before having your vehicle repaired. You may choose to follow this procedure, or you may simply leave your car with us and ask your insurance company to inspect your car at our facility. Repair facilities can help you negotiate your claim with the insurance company. You are not required by law to obtain more than one estimate or appraisal. It's your choice to do so. Differences in repair estimates are quite common. A lower estimate may not include all necessary work or hidden damage repair costs. To ensure the best quality repair, always choose a repair facility that has unibody repair equipment and certified technicians who use only genuine manufacturer (OEM) replacement parts. Before choosing a certified repair facility, ask about their warranty and guarantee policies. We will update this page with monthly promotional offers. 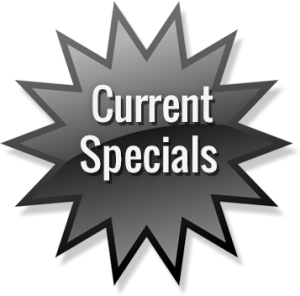 Please check back for the current month’s promotional offers. No matter what the condition of your vehicle is, our certified technicians will repair it to your satisfaction. We’ll inspect your vehicle and offer you a competitive estimate. Call us for details. We are a team of certified technicians with years of experience. 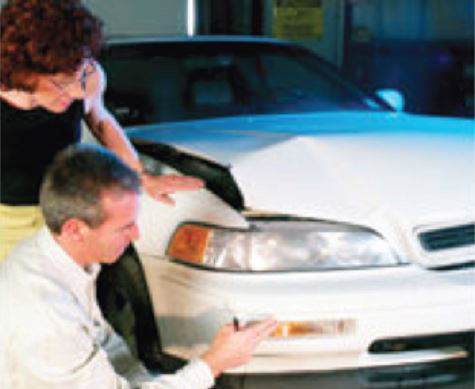 Review our list of auto body repair services. Three G Body & Paint offers a Lifetime Limited Warranty.